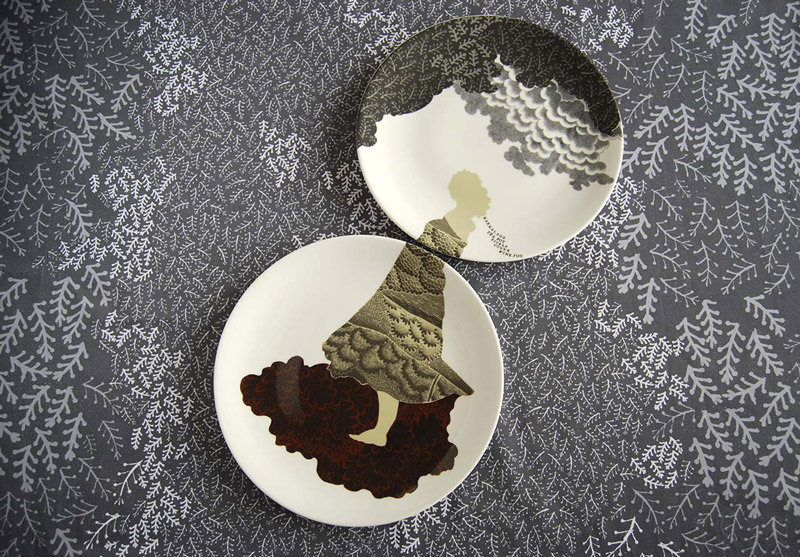 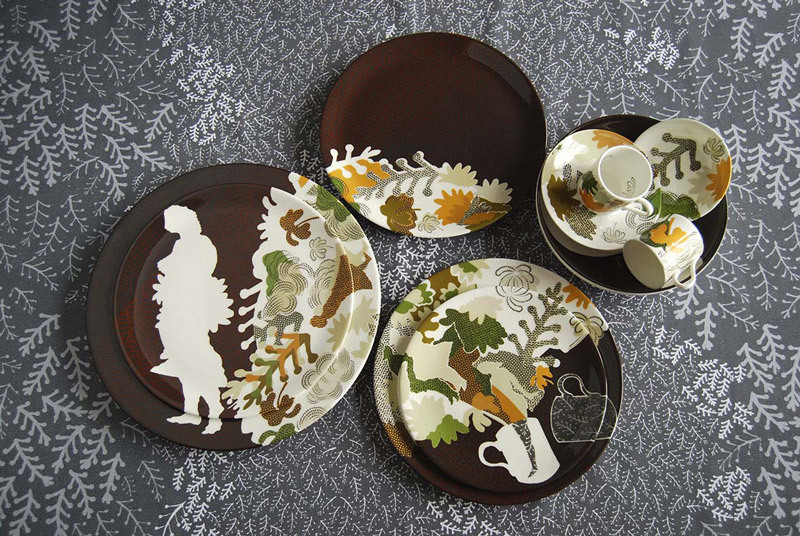 Spode Trees and Dressed Silhouettes is a tableware installation that was commissioned for the British Ceramic Biennial 2015. 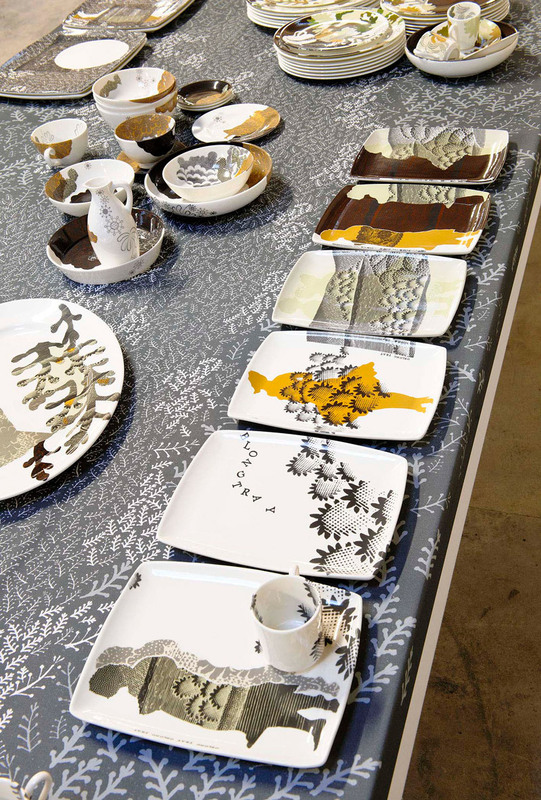 It is the result of Charlotte’s many years involvement with ceramics at the Spode ceramic factory and an Arts Council of England Award 2014 (with artist Paul Scott) for research and development. 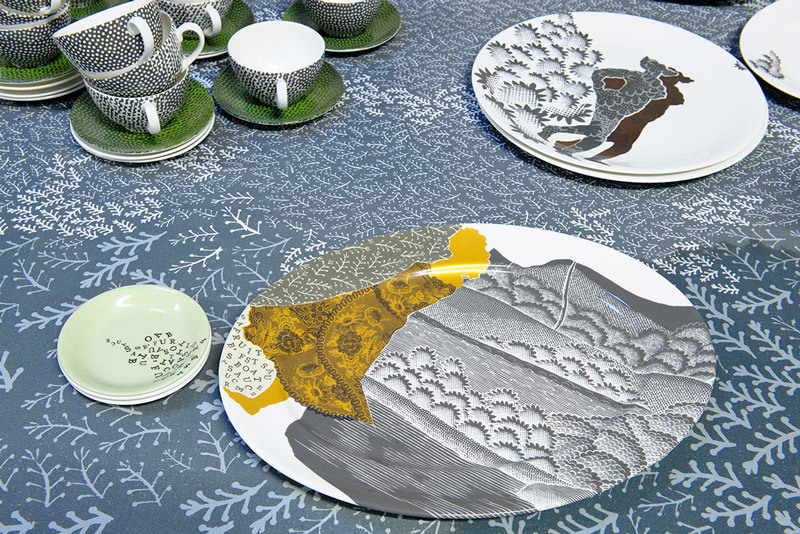 It takes the form of the aftermath of a dinner onto which hand cut printed imagery and texts found on the Spode Museum Trust Archive of engravings are collaged across the surface of the ware. 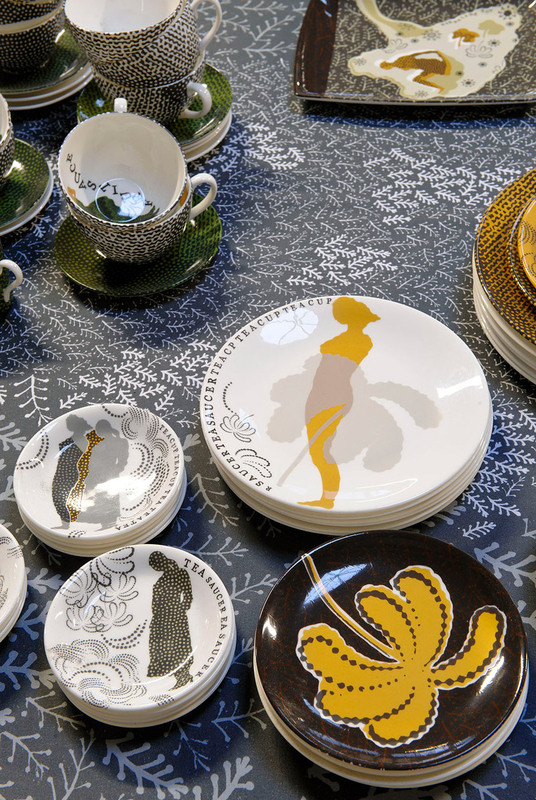 The imagery and patterns cross over from one plate to another creating the impression that Charlotte’s women, presented in the form of silhouettes, have descended and are momentarily held in a seemingly random configuration of the ware. 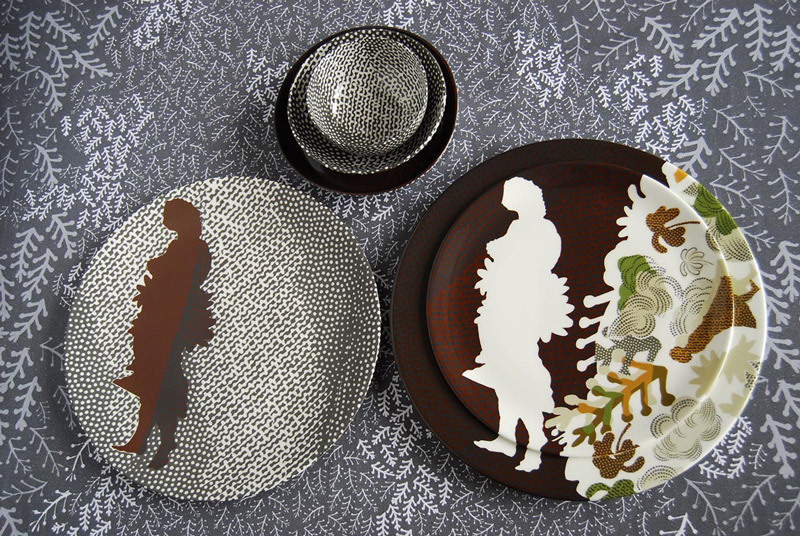 This installation forms part of a larger body of work made over a two year period entitled Dressed Silhouettes which includes ceramics, paintings and a series of relief prints In the Shadows. 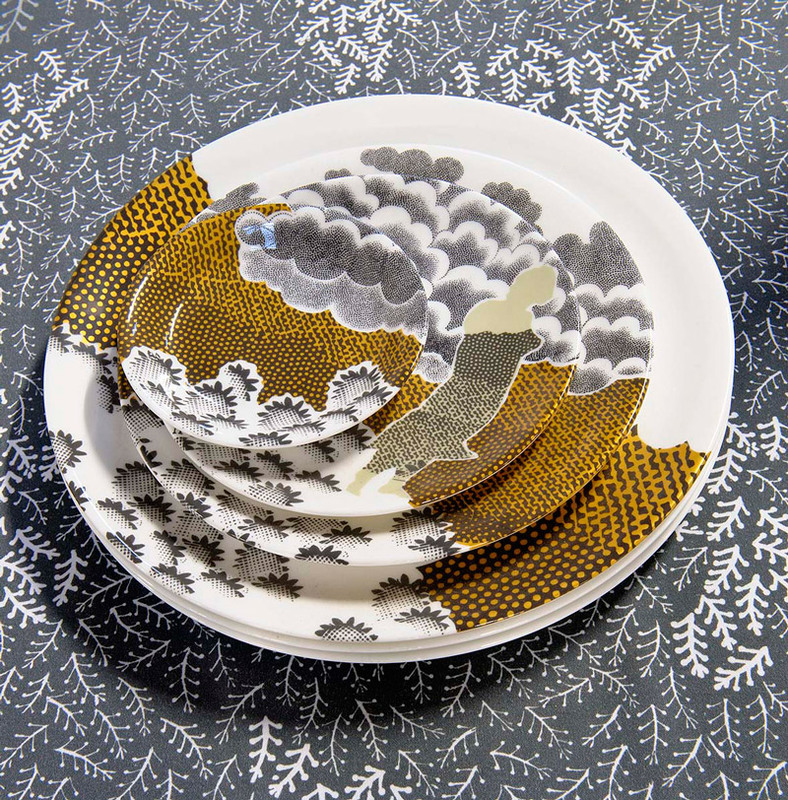 Spode Trees and Dressed Silhouettes is made up of 346 pieces of tableware of which hand cut enamel transfers have been applied to 156 pieces. 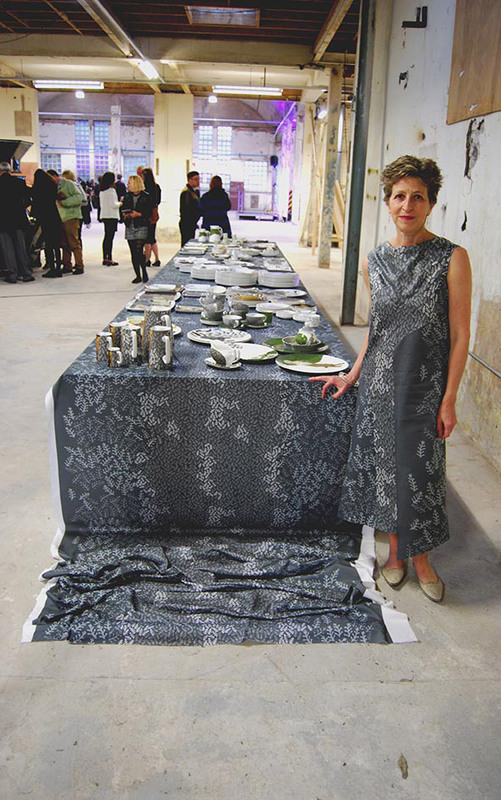 The ware is laid out across a table 732cm(L) x 122cm(W) x73cm (Ht) covered with a digitally printed cotton satin textile running 16 metres. 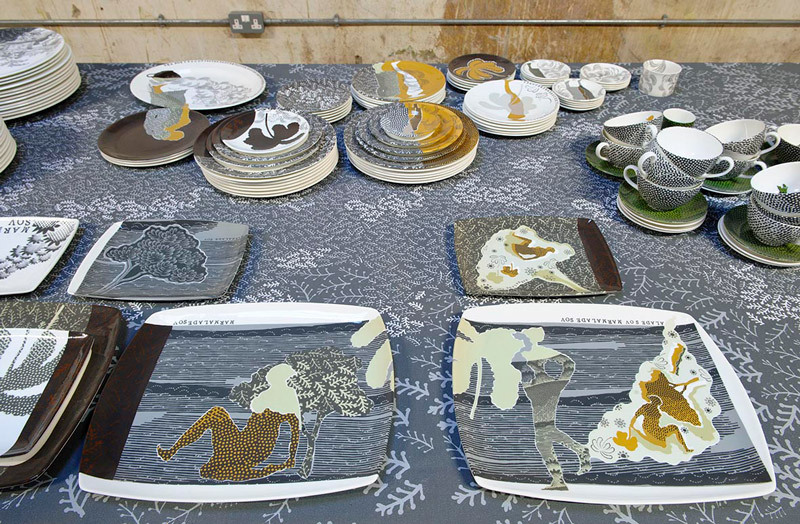 The project was made possible with the support of colleagues at the University of the Arts London; Nicky Munyama, LCF, for the textile production; Naomi Bailey and Sarah Christie CSM for their studio assistance and expertise; designer Wai Han LCF; the Spode Museum Trust, in particular Paul and Kath Holdway.